Since the 2016 presidential campaign, significant attention has been focused on refugees to the United States and the potential dangers that they may pose. Scarce attention has been directed to aliens in expedited removal proceedings with "credible fear" claims, even though they may pose a greater risk to the United States than potential refugees. Unlike refugees, who are screened before coming to the United States and can be denied refugee status before they enter this country, aliens who enter illegally and claim a "credible fear" of persecution have not been screened before physically entering the United States; as explained below, the process for screening those individuals after they enter the United States is vulnerable to fraud and abuse. This report examines the incidence of fraud in the asylum application process generally, and the credible fear process specifically, and identifies some of the factors that facilitate that fraud. Asylum is an immigration benefit that allows those who receive it to remain in the United States, work, receive public benefits, and become legal permanent residents and eventually citizens. Because of the low evidentiary burden for receiving asylum, and the difficulty that U.S. Citizenship and Immigration Services (USCIS), U.S. Immigration and Customs Enforcement (ICE) attorneys, and immigration judges face in effectively identifying fraud in the asylum application process, asylum can be readily abused by aliens who are not legally eligible for that benefit. Fraud in the asylum process is particularly problematic because it undermines the immigration enforcement system, delays the receipt of protection and public benefits by legitimate asylum seekers, and is susceptible to exploitation by terrorists. Expedited removal is intended to facilitate the removal of aliens who entered illegally or through fraud, and who are apprehended at entry or who have been in the United States for a limited period of time. If an alien successfully asserts a credible fear, however, the alien will likely remain in the United States indefinitely. In addition to the increase in asylum applications, the number of credible fear cases handled by USCIS increased more than eightfold between FY 2009 and FY 2015. The evidentiary burdens for aliens seeking asylum and withholding of removal are lower than for aliens seeking other immigration benefits. In fact, "[t]he testimony of [an] applicant [for asylum and withholding of removal] may be sufficient to sustain the applicant's burden without corroboration." Although there have been a significant number of high-profile cases involving multiple cases of asylum fraud in recent years, the Department of Homeland Security (DHS) has not completed an assessment of the extent of fraud in the asylum context. Aliens with ties to terrorist organizations have attempted to enter illegally and claim asylum fraudulently. Hundreds of aliens to whom the terrorist bar to asylum may apply have been found to have a credible fear. An alien who is seeking to enter and remain in the United States may pursue many different immigration benefits. Family-based visas are available to those with qualifying relatives, and employment-based visas may be pursued by those with needed skills. If an alien has neither an employer nor a family member to file a petition, the alien could pursue a diversity visa through the visa lottery. For many seeking to enter the United States without a visa, however, an asylum application is the benefit they choose. Fraud in the asylum process is not a "victimless crime". As the Government Accountability Office (GAO) has noted: "[Granting asylum to an individual with a fraudulent claim jeopardizes the integrity of the asylum system by enabling the individual to remain in the United States, apply for certain federal benefits, and pursue a path to citizenship. "21 In addition, fraudulent asylum applications delay the consideration of other, more meritorious applications, and impede the granting of benefits to aliens who are in legitimate need of protection. Even more seriously, as discussed below, terrorists have also exploited the asylum system through fraud to remain in the United States and do harm to the American people. Aliens found to have credible fear are often released from custody before their asylum claims are heard in immigration court.46 This is significant from a fraud standpoint because, as discussed below, a finding of credible fear can be made without the alien presenting any corroborating evidence, or even identity documents. The credible fear process is vulnerable to such fraud for a number of reasons, the main one being a failure by the government to allocate sufficient resources. There are 328 ports of entry in the United States,54 and the U.S.-Mexican border spans 1,954 miles.55 There are, however, only about 360 asylum officers stationed at eight asylum offices in the United States: in Arlington, Va.; Chicago, Ill.; Houston, Texas; Miami, Fla.; Newark, N.J.; New York, N.Y.; Los Angeles, Calif.; and San Francisco, Calif.56 The relatively small number of asylum officers limits the amount of time that any given asylum officer can spend on any given credible fear claim, a problem exacerbated by a recent increase in credible fear claims, discussed below. The immigration courts, which receive aliens' claims after they have been found to have a credible fear, face similar resource limitations. As of February 2017, there were 542,411 cases pending before 302 immigration judges, or just less than 1,800 cases per judge.60 Each judge, however, has just about six hours per week to prepare for the week's docket; the rest of the time is spent on the bench hearing cases. Given the fact that each judge could be assigned eight or more asylum cases (any one of which could have hundreds of pages of background evidence) each week, the ability for any given judge to have full familiarity with any given case is limited. This problem is compounded by the fact that many claims, particularly claims from the same country, can have similar facts. The limited number of judges also means that there are significant backlogs between the time that applications are filed and the time that hearings are held on those applications. As noted, aliens in credible fear proceedings are subject to mandatory detention during the credible fear process, and also if found to have a credible fear.62 ICE has only limited detention space,63 however, and aliens are often released before the detained court judge can hear their asylum claims and sent to a non-detained court. If an asylum applicant is released, years can pass before the applicant's claim is heard.64 This gives an alien in expedited removal proceedings even more reason to make a fraudulent credible fear claim, because if that claim is successful, the alien can remain in the United States for a significant period of time before even having a hearing on his or her asylum claim, allowing the alien to work (which is usually the goal of an illegal entrant), build up equities, or become eligible for another immigration benefit. The difficulty facing both USCIS and the immigration courts in identifying fraud in the credible fear process has been exacerbated by the significant increase in the number of expedited removal cases, and consequently of credible fear claims, over the past eight years.68 Specifically, in FY 2009, USCIS completed 5,523 credible fear cases.69 In FY 2015, the agency completed 47,928, almost 8.7 times as many as just six years before.70 In FY 2016, USCIS received 94,048 credible fear cases, and issued 92,990 credible fear decisions.71 All told, in the fourth quarter of FY 2016, there were 194,986 asylum applications pending at USCIS.72 While 360 asylum officers, 35 FDNS officers, and 302 immigration judges may seem like a significant force in the abstract, the struggle that they face in identifying, let alone addressing, fraud in the credible fear process is clear from the sheer volume of cases that they each have to handle. Besides a lack of resources, other factors further complicate the task of identifying fraud in the credible fear process. Even electronic filing of asylum applications would not address the problem of fraud in the credible fear process, however, because applicants for credible fear do not submit asylum applications to USCIS. Instead, during the credible fear interview, information about the claim is elicited by the asylum officer, who takes a statement from the applicant by asking questions related to the alien's alleged fear. The alien does not have to file an asylum application (Form I-589) until he or she is placed into removal proceedings before the immigration court. 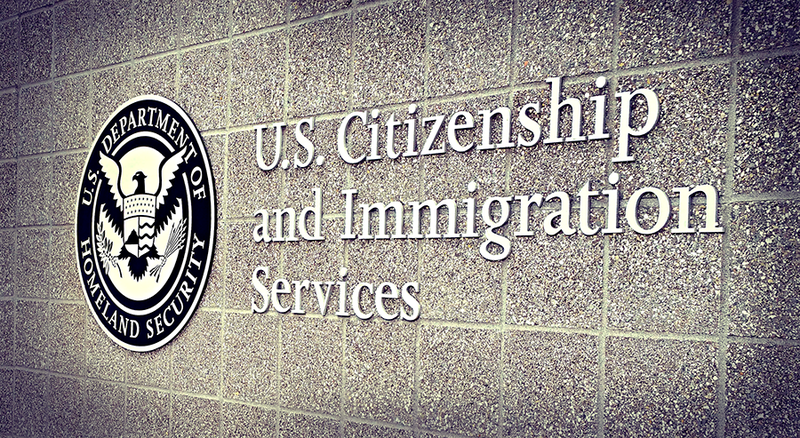 Unlike USCIS, the immigration court does not have an office similar to FDNS to review Forms I-589 after they have been filed to identify fraud. Rather, immigration judges are largely reliant on ICE attorneys and their own review of the record to flush out fraud. Evidentiary limitations, unique to the credible fear process, render that process further susceptible to fraud. Asylum cases in which aliens are unable to provide documentary support for their claims present a particular challenge for asylum officers and judges because the fact finder is largely dependent on credible testimony in determining whether to grant or deny relief, making credibility a key issue. (a) Information contained in or pertaining to any asylum application, records pertaining to any credible fear determination conducted pursuant to § 208.30, and records pertaining to any reasonable fear determination conducted pursuant to § 208.31, shall not be disclosed without the written consent of the applicant, except as permitted by this section or at the discretion of the Attorney General. (b) The confidentiality of other records kept by the Service and the Executive Office for Immigration Review that indicate that a specific alien has applied for asylum, received a credible fear or reasonable fear interview, or received a credible fear or reasonable fear review shall also be protected from disclosure. (ii) Arising from the proceedings of which the asylum application, credible fear determination, or reasonable fear determination is a part. (Emphasis added). Thus, information "pertaining to any credible fear determination ... and records pertaining to any reasonable fear determination conducted" cannot "be disclosed without the written consent of the applicant, except as permitted by this section or at the discretion of the Attorney General." Discretion to disclose asylum information, however, is rarely given. When it is, such disclosure risks a claim by the applicant that even if there were no fear of persecution before the disclosure, there is now, because the alien's home country knows that the alien, in applying for asylum, is placing that country in a bad light. While immigration judges and asylum officers can attempt to bridge the evidentiary gap themselves by submitting background evidence for the record, such submissions can subject them to complaints about their impartiality. In addition, if an immigration judge has questions about the validity of a claim, the judge can, by regulation, request comments about the claim from the State Department.85 This is a complicated and time-consuming process, however, and for that reason is not often used. Given its susceptibility to fraud, the credible fear process is particularly vulnerable to exploitation by individuals or groups seeking to do harm to the United States, by traffickers seeking to bring victims to the United States, and by economic migrants seeking employment opportunities. According to court records, on June 24, 2008, Fidse and 25-year-old Deka Abdalla Sheikh, who was serving as Fidse's English interpreter, arrived at the Hidalgo, Texas, Port of Entry without any identification and claimed asylum based upon Fidse's father being murdered by "al Qaeda" in the father's store in Mogadishu, Somalia, while in the presence of Fidse. Fidse was placed in an Immigration Detention Facility located in Pearsall, Texas, while his asylum claim was investigated. Recorded conversations between Fidse and Sheikh during Fidse's detention revealed that prior to arriving in Hidalgo, the defendants admittedly planned to provide false testimony to authorities about how they first met, that they were married, and that they had lived together for three years. Furthermore, they discussed hand signals to be used to communicate during hearings in an effort to ensure that their individual testimony would match. Fidse's stories changed over the course of his detention, including who was responsible for his father's death. Fidse initially told Customs and Border Protection officers that al Qaeda killed his father while they lived in Somalia. He subsequently told an Immigration Court judge that the Islamic Courts were responsible for his father's death. In truth, his father had died of natural causes years before and Fidse actually had lived in Kenya since he was in grade school. Because of Fidse's credibility and his inability to get his story straight on who killed his father, on March 31, 2009, the Immigration Court denied Fidse's asylum request. In addition to these cases, information disclosed to Congress indicates that 299 aliens to whom the terrorism bar to asylum eligibility may apply96 were found to have a credible fear in the first four months of FY 2015, and that 399 aliens to whom the terrorism bar to asylum eligibility may apply were found to have a credible fear in FY 2014.97 While the nature and circumstances of those terrorism allegations are not clear, these facts, as well as the cases detailed above, raise additional concerns that other individuals who have connections to terrorist activity or organizations have attempted to seek asylum through the credible-fear process. As recent events have shown, it is necessary for the United States government to screen individuals who are seeking to enter the United States closely for terrorist ties or other foreign affiliations that suggest they could pose a danger to the United States. Refugees are not the only class of alien seeking entry who could pose such a danger, however. Aliens attempting to enter the United States through the credible fear process have not been screened before arriving in the United States. Many of these aliens come to the United States without documents, and arrive from countries in which there is significant terrorist activity. This process has been fraudulently abused by aliens who pose a danger to the national security. The credible fear claims of all aliens should be thoroughly vetted, and appropriate resources must be directed to the review of the asylum applications filed by those individuals, to ensure that they are not able, through fraud, to enter the United States and do harm to the American people. USCIS and EOIR should comply thoroughly with the recommendations of GAO in its December 2015 report on fraud risks, and in particular, should conduct regular fraud risk assessments across all asylum claims. The draft asylum Benefits Fraud and Compliance Assessment, described by former Associate Director of FDNS Don Crocetti in his February 2014 testimony before the House Subcommittee on Immigration and Border Security, should be replicated and completed immediately to place DHS and EOIR in a position to identify aliens seeking entry through fraud. Finally, the U.S. government, in connection with its global partners, must disrupt the smuggling organizations that are funneling illegal entrants to the United States. 1 "Number of Service-wide Forms by Fiscal Year To-Date, Quarter, and Form Status 2014", U.S. Citizenship and Immigration Services, 2014. 2 "Number of Service-wide Forms by Fiscal Year To-Date, Quarter, and Form Status 2015", U.S. Citizenship and Immigration Services, 2015. 3 "Number of Service-wide Forms by Fiscal Year To-Date, Quarter, and Form Status 2016", U.S. Citizenship and Immigration Services, 2016. 4 8 C.F.R. § 1208.13(a). 5 See Section 208(b) of the Immigration and Nationality Act (INA). 6 See Section 101(a)(42) of the INA. 7 See "Obtaining Asylum in the United States", U.S. Citizenship and Immigration Services, last updated October 19, 2015. 8 Jerry Markon, "Senior Obama officials have warned of challenges in screening refugees from Syria", The Washington Post, (November 17, 2015. 11 See "The World Factbook: Somalia", Central Intelligence Agency, undated. 12 See "Islamic State and the crisis in Iraq and Syria in maps", BBC, January 20, 2017. 13 To compare the vetting process for refugee processing with the vetting process for the asylum process, compare "Infographic: The Screening Process for Refugee Entry into the United States", The White House, November 20, 2015, with "Vetting, Security and Fraud Screening in Asylum Process", Human Rights First, December 4, 2015. Further, there have been cases in which aliens in refugee camps have effectively bypassed the refugee screening system by entering or attempting to enter the United States illegally and claiming credible fear. 14 See "Obtaining Asylum in the United States", U.S. Citizenship and Immigration Services, last updated October 19, 2015. 21 "Asylum: Additional Actions Needed to Assess and Address Fraud Risk", GAO-16-50, Government Accountability Office, December 2015, at 1. 22 Sam Dolnick, "Immigrants May Be Fed False Stories to Bolster Asylum Pleas", The New York Times, July 11, 2001. Subcommittee on Immigration and Border Security, 113th Congress, 2014. 29 Jason Meisner, "Local immigration lawyer convicted of fraud in winning asylum for Iraqis", Chicago Tribune, May 9, 2016. 30 Albert Samaha, "Thirty People Have Been Convicted for Participating in Asylum Fraud Ring", Village Voice, April 16, 2014. 32 "Asylum: Additional Actions Needed to Assess and Address Fraud Risk", GAO-16-50, Government Accountability Office, December 2015, at 1. 33 "Discovery Bay attorney sentenced for false asylum fraud", Mercury News, September 24, 2010. 34 "ICE mulls fraud case", Washington Times, April 28, 2005. 36 See "Fact Sheet: A Primer on Expedited Removal", American Immigration Council, February 3, 2017. 37 See section 235(b)(1)(A)(ii) of the INA. 38 8 C.F.R. § 1235.6(a)(ii). 39 William La Jeunesse, "Immigrants from terror hubs claiming 'credible fear' to seek US asylum", Fox News, March 22, 2016. 40 See generally Todd Bensman, "The Ultra-Marathoners of Human Smuggling: How to Combat the Dark Networks that Can Move Terrorists over American Land Borders", Homeland Security Affairs Journal, Vol. XIII-2017, May 2016 (detailing smuggling routes). 45 See "Country Reports on Human Rights Practices for 2016: Colombia", U.S. Department of State, Bureau of Democracy, Human Rights and Labor, undated. 47 Warren Richey, "Are terrorists crossing the US-Mexico border? Excerpts from the case file", Christian Science Monitor, January 15, 2017. 54 "At Ports of Entry", U.S. Customs and Border Protection, last published August 8, 2016. 55 "U.S.-Mexico Border: Fences and deaths", National Geographic, undated. 56 "Asylum: Additional Actions Needed to Assess and Address Fraud Risk", GAO-16-50, Government Accountability Office, December 2015, at 1. 60 "Immigration Court Backlog Tool, Pending Cases and Length of Wait in Immigration Courts", TRAC Immigration, through February 2017. 61 More judges alone, however, are not the answer. As a judge, I shared one law clerk with another judge, and that clerk's primary responsibilities involved drafting proposed orders, reviewing motions, and researching the effects of various criminal convictions from various states on different grounds of removability, largely freeing me and my fellow judge to review applications for relief and the supporting evidence for those applications. I was also supported by a legal technician who kept the courtroom running, and a front office staff that ensured submissions were docketed and filed. Ideally, for each additional judge hired, there would also be an additional law clerk and technician, as well as support staff. 62 Sections 235(b)(1)(B)(ii) and (iii)(IV) of the INA. 63 See "ICE's Release of Immigration Detainees", OIG-14-116 (Revised), Department of Homeland Security, Office of Inspector General, August 2014. 64 Julia Preston, "Deluged Immigration Courts, Where Cases Stall for Years, Begin to Buckle", The New York Times, December 1, 2016. 65 "Asylum: Additional Actions Needed to Assess and Address Fraud Risk", GAO-16-50, Government Accountability Office, December 2015, at 30. 66 8 C.F.R. § 1003.0(e)(2). 67 "Asylum: Additional Actions Needed to Assess and Address Fraud Risk", GAO-16-50, Government Accountability Office, December 2015, p. 37. 69 "Credible Fear Workload Report Summary", U.S. Citizenship and Immigration Services, May 5, 2016. 71 "Credible Fear Workload Report Summary, FY 2016 Total Caseload", U.S. Citizenship and Immigration Services, undated. 72 "Number of Service-wide Forms by Fiscal Year To-Date, Quarter, and Form Status 2016", U.S. Citizenship and Immigration Services, December 23, 2016. 73 Jessica Vaughan, "Senate Hearing Exposes Billion-Dollar Amnesty Slush Fund and Other USCIS Improprieties", Center for Immigration Studies blog, March 6, 2015. 74 Testimony of Jan C. Ting, Professor of Law, Temple University Beasley School of Law, before the United States House of Representatives Committee on Oversight and Government Reform, Subcommittees on National Security and Government Operations, March 23, 2016. 75 "Credible Fear Workload Report Summary, FY 2016 Total Caseload", U.S. Citizenship and Immigration Services, undated. 76 "Asylum: Additional Actions Needed to Assess and Address Fraud Risk", GAO-16-50, Government Accountability Office, December 2015, "Highlights". 79 This standard is incorporated by reference in the withholding of removal provisions at section 241(b)(3)(C) of the INA, which states: "SUSTAINING BURDEN OF PROOF; CREDIBILITY DETERMINATIONS- In determining whether an alien has demonstrated that the alien's life or freedom would be threatened for a reason described in subparagraph (A), the trier of fact shall determine whether the alien has sustained the alien's burden of proof, and shall make credibility determinations, in the manner described in clauses (ii) and (iii) of section 208(b)(1)(B)." 80 Section 235(b)(1)(B)(iii)(IV) of the INA. 82 See "Asylum: Additional Actions Needed to Assess and Address Fraud Risk", GAO-16-50, Government Accountability Office, December 2015, at 44: "Asylum officers we interviewed in all eight asylum offices stated that they rarely use overseas verification, in part because they do not receive responses to their requests in a timely manner. In addition, asylum confidentiality restrictions limit the extent to which asylum officers can verify information overseas; USCIS and State Department personnel generally cannot share information contained in or pertaining to an asylum application outside the U.S. government in a manner that would disclose the fact that the individual applied for asylum in the United States. Furthermore, asylum officers told us that the outcome of asylum adjudications rarely hinges on the authenticity of a single document, so document verification may not change the outcome of a case." This last rationale is somewhat questionable, however. See Matter of O-D-, 21 I&N Dec. 1079 (BIA 1998): "Presentation by an asylum applicant of an identification document that is found to be counterfeit by forensic experts not only discredits the applicant's claim as to the critical elements of identity and nationality, but, in the absence of an explanation or rebuttal, also indicates an overall lack of credibility regarding the entire claim." 84 See, e.g., "China Profile of Asylum Claims and Country Conditions", U.S. Department of State, Office of Country Reports and Asylum Affairs, Bureau of Democracy, Human Rights and Labor, May 2007: "Documentation from China, particularly from Fujian Province, is subject to widespread fabrication and fraud. This includes documents that purportedly verify identities, personal histories, births and birth control measures, and notices from public security authorities. The existence of this fraud has been established by direct investigation by U.S. consular officers in China." 85 8 C.F.R. § 1208.11. 86 "9/11 and Terrorist Travel, A Staff Report of the National Commission on Terrorist Attacks upon the United States", August 21, 2004, at 106. 88 "Somalian Sentenced to Federal Prison for Making False Statements on Application for Asylum: Defendant Admitted to Making False Statements Concerning Participation in Terrorist Organizations", press release, FBI San Antonio Division, April 28, 2011. 91 Warren Richey, "Are terrorists crossing the US-Mexico border? Excerpts from the case file", Christian Science Monitor, January 15, 2017. 92 "Somalian Sentenced to Federal Prison for Making False Statements on Application for Asylum: Defendant Admitted to Making False Statements Concerning Participation in Terrorist Organizations", press release, FBI San Antonio Division, April 28, 2011. 93 Warren Richey, "Are terrorists crossing the US-Mexico border? Excerpts from the case file", Christian Science Monitor, January 15, 2017. 94 "Somalian Sentenced to Federal Prison for Making False Statements During a Terrorism Investigation", FBI press release, San Antonio Div., July 25, 2013. 96 See section 208(b)(2)(A)(v) of the INA (asylum may not be granted to "an alien if the Attorney General determines that- the alien is described in subclause (I), (II), (III), (IV), or (VI) of section 212(a)(3)(B)(i) or section 237(a)(4)(B) (relating to terrorist activity), unless, in the case only of an alien described in subclause (IV) of section 212(a)(3)(B)(i) , the Attorney General determines, in the Attorney General's discretion, that there are not reasonable grounds for regarding the alien as a danger to the security of the United States."). 97 Letter from Chaffetz, Goodlatte, DeSantis, and Gowdy to Johnson, May 20, 2015, at 1.